We are 332 members strong, made up of the greatest people ever. Collectively we are like the robot Voltron because when we assemble we are unbeatable. In 1990 we stepped onto the scene and we have not stopped the body rock since. 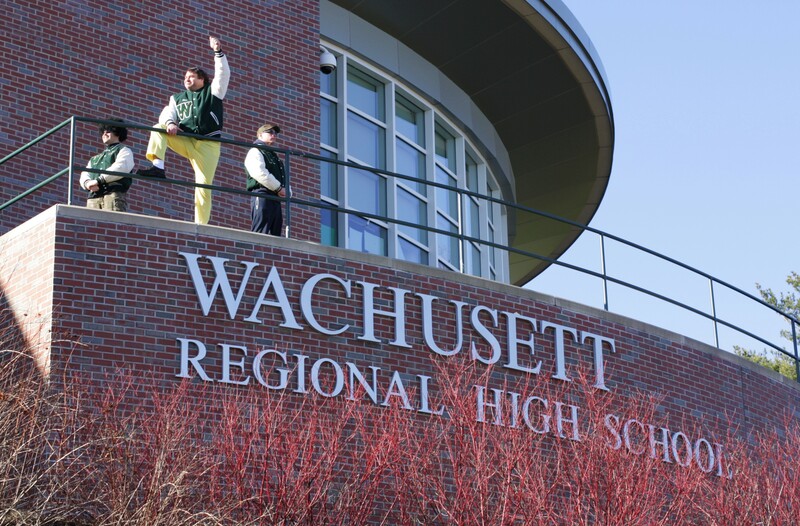 When we first walked through the doors of Wachusett the other classes laughed at us, but like the saying goes the one who laughs last, laughs best. The highlight of our first year was winning the class relays. It was an amazing feat that had not been accomplished before (or since) by a freshman class. Some of the other highlights of our four years at Wachusett include: having the best dances ever, preserving the rubber room as a historic structure, voting for “Life Is A Highway” as our Senior Prom theme, having 17 snow days during our junior year (a record), painting the school buses green and white, having the first Mexican class president (Chico Vader) ever in the history of class presidents, snubbing St. Johns, being totally awesome, inventing the internet, dropping it like its hot, traveling to Princeton for a party (never been done before), and destroying everything in our path.